Before starting your driving lessons you will need to apply for and receive your provisional driving licence. You must bring both parts of this (paper and card) on your first driving lesson. If you have eyesight issues, you should consider going to your optician to have your eyesight checked. Your optician can check if you meet the minimum requirements for driving. You should be able to read a car number-plate at a distance of 20 metres. Do your research! Check out any reviews online. 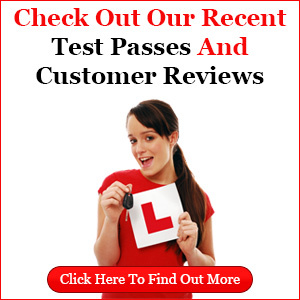 If a driving school cannot provide any reviews, ask yourself why this might be. Check out the beginner driving lesson deals that you can find, but remember that cheaper isn’t always better….’if something is too good to be true’ it almost always is! On your first driving lesson, your driving instructor will pick you up and drive you to a quiet road. At this place you will swap seats with the instructor. This lesson will be tailored to suit your driving experience. If you have no experience, you will be introduced to the controls of the car and the basics of driving. After this has been explained, you will practice driving the car. You will practice ‘moving off and stopping’ and ‘changing gear’. We often hear stories of learner drivers not getting a chance to drive on their first lesson! This is completely unacceptable. You should drive the car on each and every driving lesson. If you have any questions regarding learning to drive- give us a call. We are always happy to help you.